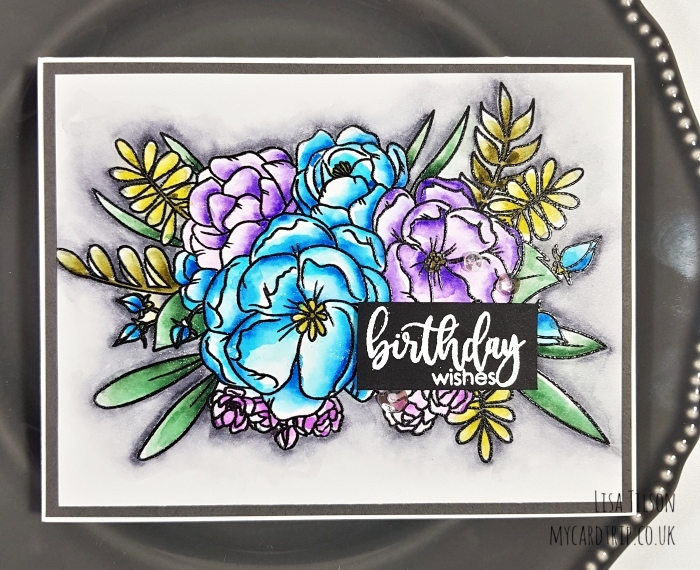 Today I am sharing a card featuring Studio Katia’s Lovely Blooms stamp set. I got this a few months back but just haven’t had time to ink it up and colour it yet. So today was the day! I began by stamping the image onto Strathmore Bristol Smooth Cardstock using Versafine Onyx Black. I applied clear embossing powder and heat set. I then set about colouring it with my Zig markers (colours listed below). As always I worked in layers, allowing drying time in between. 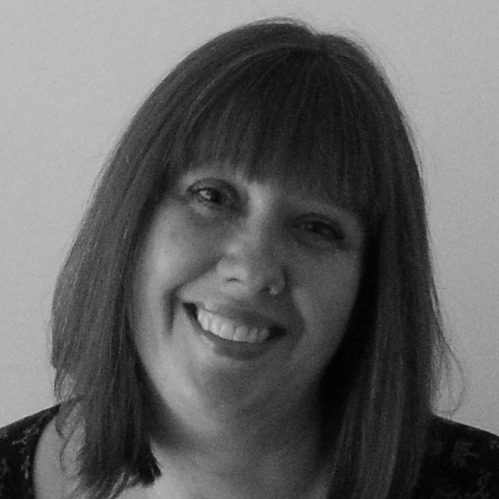 I went for quite a dark palette this time – I like how dramatic it is and it makes a nice change from pink at this time of year, at least for me! 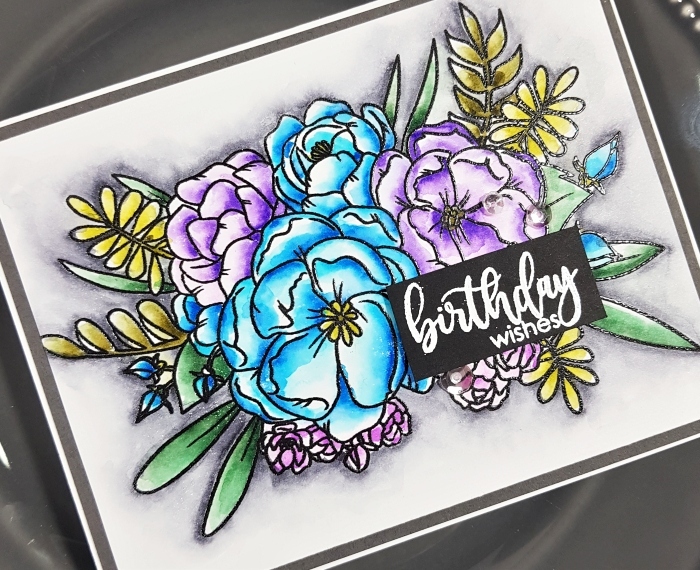 I stamped the greeting from Studio Katia’s Blooming Bunch onto some black cardstock using Versamark Ink. White embossing powder was applied and it was heat set and trimmed to size. This was mounted onto the coloured panel with foam tape. I trimmed the panel down, mounted it onto some grey cardstock and then onto a white top folding A2 base card using double sided tape. To finish off I added a few Ice Crystal sequins. That finishes today’s card and I will be back soon with another card for you. In the meantime I hope you get some crafting time in. Zig colours used: Grey, Cobalt Blue, Persian Blue, Lilac, Light Violet, Violet, Olive Green, Mid Green, Deep Green.